We are running 4 separate camp weeks this year October 5-11, 12-18, 19-25 and 26-1 November. You can do any number of weeks. Our focus is to open up the training and give the campers training with more speed. The huge pistes allow us to work on areas of technique that can not be developed through the summer months. 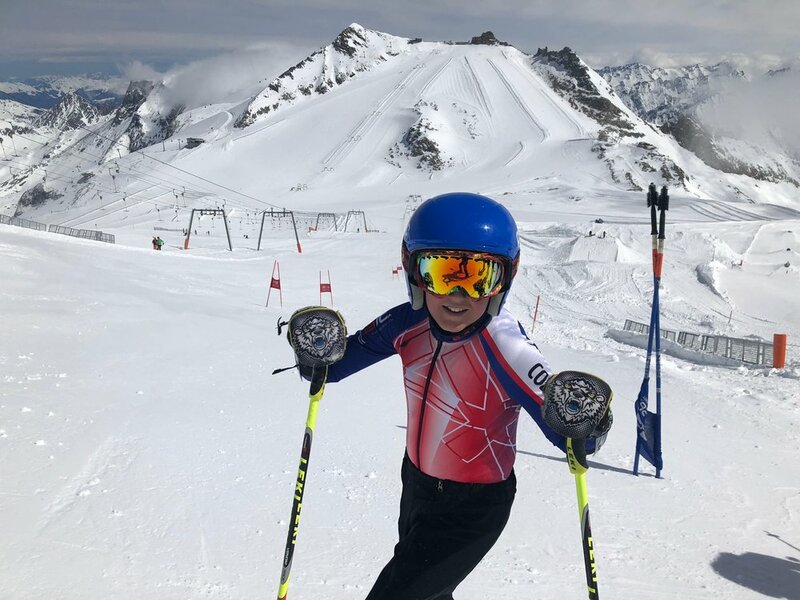 Hintertux is a great venue and offers winter conditions at this time of year meaning our campers get an opportunity to ski and train on real winter snow. The uplift is amazing and storm proof. While other resorts lifts are exposed to the wind, the reliable lifts and the aspect mean we are guaranteed skiing every day. We do video analysis on the mountain, in the restaurant at the top before we head down each day. For those who have trained this summer we will continue where we left off in Norway. For those coming on the camp for the first time we will spend some time developing your technique first free skiing, getting to know the mountain, and then getting straight into the gates. 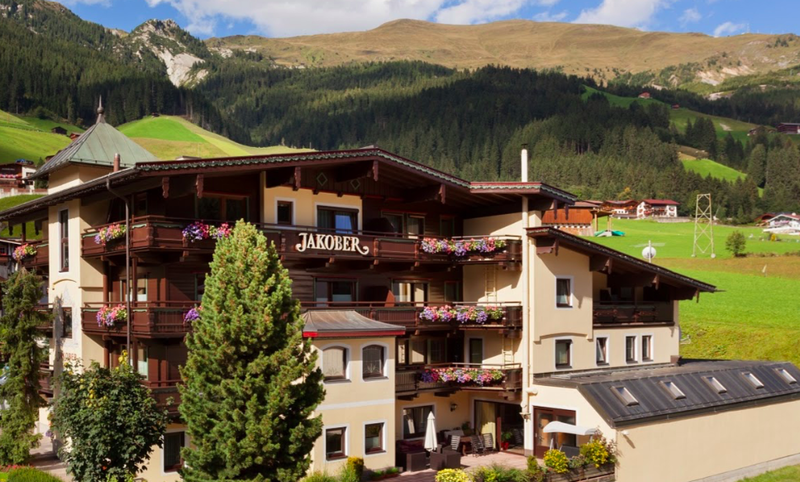 Hintertux in October is a great place to experience your first camp. We arrive Saturday night at the hotel in time for dinner, start skiing on the Sunday morning, and ski 6 days in a row, leaving on the Friday after skiing. Off snow, our focus will be equally shared between fitness and stretching, tuning skis and rest and recovery. It is a full schedule and athletes need to be focused, healthy and motivated to get the most out of this camp. You must arrive with your skis tuned sharp, and ready for training. There is no shortage of experience and knowledge on the ATC coaching team. All our coaches are national or internationally qualified. Olympians and ex national team coaches Andy Freshwater and Sean Langmuir will lead the team for the October camp with ATC lead coaches Meghan Costello, Sofia Morton and Jamie McWilliam. Accompanied flights below. We will have a parent or a coach on these flights looking after the group and taking them from airport check in to the hotel. Please bring a completed Parental Consent form and double check that you have travel insurance that covers you for ski racing abroad. If you would like to organise separate travel please let us know the details. We will meet at the airport 2 hours before departure at the check in desk. Please check your bags in as soon as you arrive. Bellow you will find the flights for the October weeks. There are currently flight options for weeks starting 12th and 19th and 23rd October. There are 1-week or 2-week options. If you require flights for week starting 5th please contact us. If you would like a 3-week option you can go ahead and use a mixture of the flights below. Note: The last week will be ending on the Saturday 30th as the flight one the 29th leaves too early to ski that day. Lift Passes - If you are training only, lift passes are availble from the lift pass office at the base station and you can pick these up on the morning of day one. Packed lunches will be provided for residential campers. For those that are “training only” we will meet you in resort. Andy, our Head Coach will confirm by messenger group the night before training starts what the plan will be for the next day: meeting time, what skis to bring, pick up time, etc. Usually, we meet at the bottom of the lift station in Hintertux at 8:30 am. Please have your child ready with their lift pass, packed lunch and drink, and everything they may need to ski for the day. Check with your coach daily what the pick up time will be. Please make sure you arrive with your skis tuned and sharp 87 or 88 degrees, and ready to go! If you also need to get this done in resort during the week, Insider Sport shop in Vorderlanersbach does an excellent job of race tuning skis, and gives ATC a discount. The local ski shop supports ATC with great discounts on equipment and rental race skis. Our accommodation has a huge ski room and is only 50 meters from the ski bus stop. We have fantastic house parents who put out nutritious snacks for the kids. We will have care staff and coaches for different age groups and levels. The local ski shop supports ATC with great discounts on equipment and rental race skis. Residential includes coaching, lift passes, training lanes, transfers on group flights, fitness and morning sport, food and accommodation, and pastoral care.